In response to a rush of online outrage on Tuesday, the American Institute of Architects has issued a formal statement detailing its stance on the U.S. 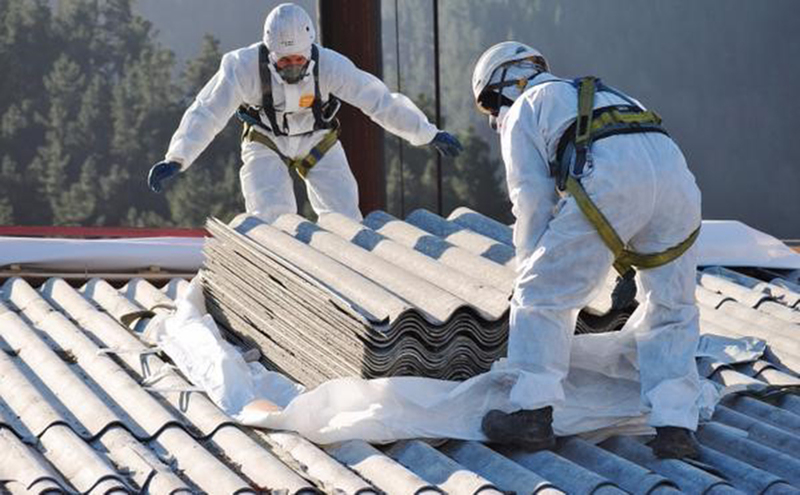 Environment Protection Agency’s Significant New Use Rule (SNUR) on asbestos. Today the organization submitted its comment in opposition to the recent decision via the EPA’s online public commentary portal. The comment takes the form of a letter from Sarah Dodge, the AIA’s senior vice president of advocacy and relationships, to acting EPA administrator Andrew Wheeler. In it, the AIA urges the agency to “establish a blanket ban” on asbestos in the country and phase it out of use. “Either by existing authority or through a significant new use rule, the EPA should review and eliminate the use of asbestos in domestic or imported materials,” the letter says. Dodge explains that it’s the responsibility of architects to ensure the inclusion of healthy materials within building projects, and in instances where hazardous substances already exist inside renovations, it’s up to design professionals to guide involved parties in the safe removal of those toxins. According to the FAQ linked in the tweet, the potential uses for asbestos that would be banned from the market through the SNUR include asbestos-reinforced plastics, extruded sealant tape, millboard, roofing felt, vinyl-asbestos floor tile, roof and non-roof coatings, and other building products. Items such as corrugated paper, rollboard, and flooring felt have already been banned outright in the United States. The FAQ doesn’t quite hold up to recent reports on the Obama administration’s involvement in restricting these toxic substances and the subsequent products. Under the 2016 amendment to the 1976 Toxic Substances Control Act (TCSA), the EPA began the process of evaluating the first 10 toxins listed in order to decipher whether or not they should be banned entirely or further restricted. This week’s frenzy over asbestos comes directly from the EPA’s May report indicating how the agency would move forward in evaluating those chemicals. As of yesterday, 154 comments were submitted to the EPA regarding the SNUR. Today, that number has increased to 698. You can still submit a comment to the EPA through tomorrow, August 10. Thereafter the agency will review all comments and further evaluate the initial toxins up for review in the TSCA. Final details of their deliberations and a new version of the rule will be released in December of next year.